This summer I finally got to meet the lovely Kim from kdfCREATIONS. Not only does she design AMAZING cakes, she is also quite the crafter and scrapbooker. When I spotted these handmade cards - all fingerprints by her lovely and talented daughter - a couldn't resist sharing with all of you for inspiration! 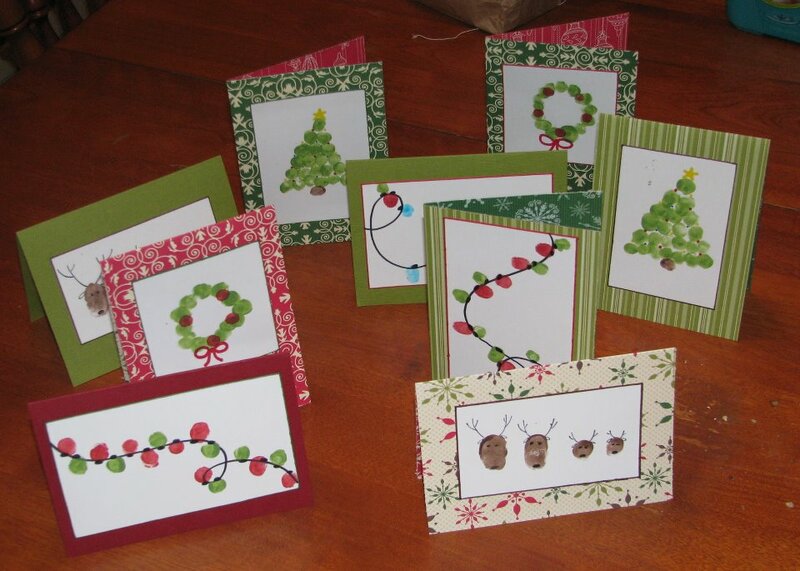 Christmas cards - trees, wreaths, string of lights, and reindeer family (one to represent each member of their family). If you live in or around Fredericton, New Brunswick, be sure to check out the Website and Facebook page for kdfCREATIONS! These cards are adorable! What a great way to get the kids involved in creating holiday cards for friends and family. I will be storing this idea away for next year!